Former Egyptian army chief of staff Sami Anan announced late Friday he will run for Egypt’s presidency in the elections upcoming in March. 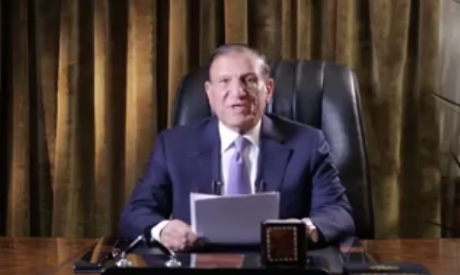 In a five-minute video posted on his official Facebook page, the 69-year-old Anan said he’ll run to save Egypt from "wrong policies." He added that he will submit his candidacy documents to the National Electoral Authority after he completes all requirements as a former army chief of staff in accordance to military law. He also revealed that he has decided to appoint a team of two civilian vice presidents, saying former top auditor Hisham Geneina would be vice president for human rights and transparency and Cairo University political science professor Hazem Hosny as vice president for a revolution in knowledge, and as an official spokesperson. Anan has called on all state institutions to maintain neutrality in the national elections process. Presidential elections are set to take place 26-28 March, with candidates required to submit all necessary papers to Egypt’s National Elections Authority (NEA) between 20 and 29 January.